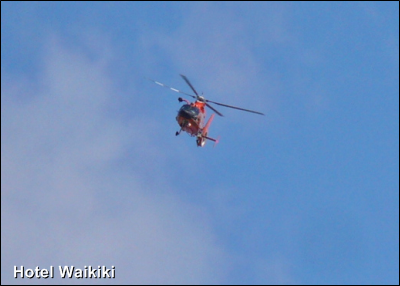 Well, you've probably heard for yourself on tonight's news that the Coast Guard helicopter was participating in some kind of "an ongoing operation" in association with the Honolulu police departmen, get it, heli....cop....ter. Speaking of cops, yesterday the police dept. closed down the freeway for 4-hours to investigate an accident scene. The person who caused the accident was driving the wrong way. Anyways, the controversy revolves around what evidence would you be looking for for four hours to determine blame I guess with a situation where the perpetrator drives the wrong direction on the freeway, hits a car, causing another car to veer and hit the median? If this extended freeway closures weren't the standard M.O. every time there's an accident involving a fatality on the freeway, then it wouldn't be as bad as it is to the commuters late for work, and for all intents and purposes, an insult as it represents to common sense. Perhaps, it's all about something as simple as overtime. But it sure seems stupid. It's a Dauphin, not a Sikorsky. 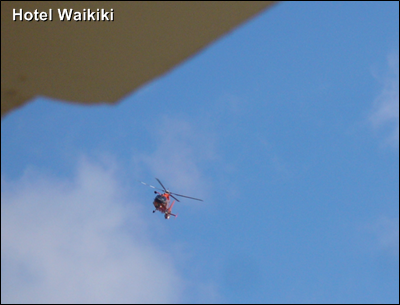 Nani- LOL, I spend all morning getting a picture of the helicopter and it's a Dauphin.